Caption - DR 175 005-8 has been withdrawn from service and languishes in a siding. 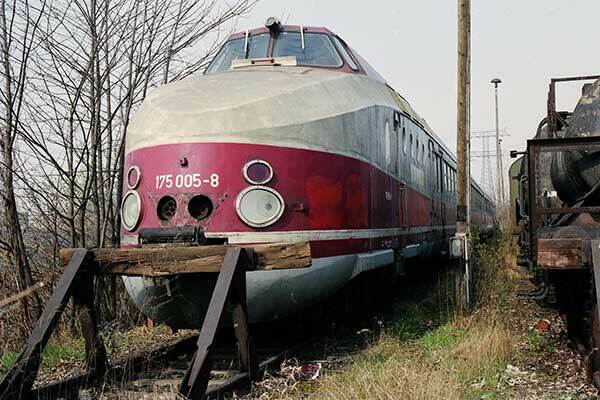 These VT 18.16 diesel-hydraulic DMUs were built for the Deutsche Reichsbahn between 1965 and 1968 and were used on premium international services to Scandinavia, Austria and Czechoslovakia as well as within East Germany. Becoming DB BR675 they were all withdrawn from normal service by 2003.